Yuudachi was a Shiratsuyu class destroyer that had quite the service history. In fact, in term of service it was more impactful than her sister ship Shiratsuyu. But do not think that it would be ''only'' an other premium with some gimmicks: the current Shiratsuyu is using the pre war configuration (2x2, 1x1 turret), while all ship of the class lost their single turret in order to get more AA (quite like Hatsuharu does in the game). With the CV reword around the corner, AA capacity will probably have a bigger impact in ships, making the lost of 1 turrets less impactful. And to make it interesting for player: why not swap Torpedo Reload booster in the Speed boost consumable. That way, it would be able to use bother TRB and Smoke, like it did before some nerfs. Plus, the poi is strong in this ship. If we were to have a premium Shiratsuyu, I feel Shigure would be interesting too, due to her fame and participation in so many battles. Shigure: Torpedoes pass through ship without exploding... Yup-- Love it. And I think the HORNS on all IJN ships should be changed to 'POI POI'. I have said this before they could do both, Yuudachi could be the unnerfed torp reload version, and shigure could be her late war hull with the more AA and maybe DF switched with the torp reload. Would prefer Shigure with a special Tameichi Hara captain. 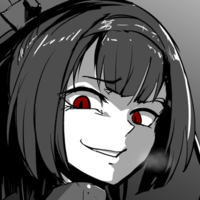 Shigure did more historically than Yudachi, that imho is popular mostly because of a meme. But the destroyer that really needs to get into the game is Yukikaze: the famous invincible super destroyer that trolled everyone. 1. Nenohi - a pre-refit T6 Hatsuharu with the 3x3 Torpedo launchers, but in exchange awful handling to represent the stability issues. 2. Hatsushimo - being lucky enough to survive for so long deserves a mention. There are various ways to make her interesting, be it the smoke + TRB combo in exchange for something else, or other flavors/gimmicks WG can come up with. 4. Yuudachi - WG is a company in the end. I don‘t need to say how Yuudachi would print money from the playerbase that is somehow involved with KanColle. 5. Yukikaze - She is a no-brainer, perhabs making her a Kagerou but with improved Torpedo armament (including lowered detection) in exchange for worse gun handling would suffice, an old-school IJN DD. 6. Amatsukaze - I am (half) serious about her in her state after the first repairs. A T5 ship perhabs which is slow, and only has gund at the rear, and a powerful Torpedo armament. Would certainly be unique. 7. Hatsuzuki - She covered the rescue lf the survivors of Zuikaku, and delayed an American force consisting of multiple Cruisers and Destroyers for several hours. Historically speaking, she has earned her place at the table. Make her an Akizuki with a heal instead of speed boost and there you go. I am sure that there are a few more that would deserve a note, WG has a bucket full with potential moneymakers. All they need to do is use it. I flew into this thread as soon as I saw Yuudachi. Well, depends of what you focus on. Sure, Shigure was the ''Lucky destroyer'' that escape death a few time total defeat. But Yuudachi did participate in the sinking of USS Gregory, USS Little and in the torpedo hit on USS Portland. And as said: Wargaming cannot think of a possible ''Kancolle'' collaboration without Yuudachi. I don’t know what happened to Yukikaze/tan yang WG said at one point she was going to be added, the only thing I could think is she became Harekaze and now that Harekaze isn’t in the store we might see Yukikaze. While we're talking about our IJN premium DDs, I'd love to add: Hibiki/Верный (Verniy) & Harutsuki/Внезапный (Vnezapny), though these two would more likely be soviet premiums. Japanese destroyers given to the soviet union post war as reparations, essentially Akatsuki / Akizuki hulls with Russian armaments. Would make for interesting boats. Both ships would likely take torpedoes and turrets from the ognevoi class destroyer and sit at tier 8. 3x twin 130mm turrets, 3x twin 533mm torpedo launchers, 7 25mm AA guns, 6 12.7mm AA guns. 4x twin 102mm turrets, 15 25mm AA guns, 1x quad 533mm torpedo launcher. This is also how shigure ended up late war they removed her single turret for more AA mounts so she had that 2 turret layout. SMS Seydilitz, SMS Lützow, HMS Queen Mary, HMS Lion, and HMS Indefatiguable when? As far as I know there are 2 and they are both gimmicky. Would love to have a true premium Shigure or Yukikaze. No thanks on the Kancolle cartoon have enough of that “@#$&” sorry. I'd be pretty surprised if Harekaze is not re-released as Yukikaze. the 5"/54 version isn't historical, but the rest is pretty close. I know even the 100mm one isn’t right for tan yang since they made their own mount for them. But if they want to sell a ship like Harekaze that’s one choice. No touchy my Harekaze... I love my Harekaze.. Harekaze most flexible IJN Tier8 DD.. of course it does have THE smallest hp pool.. ah well. Hara and Shigure, Shigure and Hara. Note sloppy rudder response due to several months running around with a torpedo sized hole in the rudder! But give her reduced torpedo reload time. Hara, special skills: Special skill TAM without needing to mount the module! (He was utterly uncanny at predicting incoming torpedo's and gunfire attacks time and time again,and inspired his crew to amazing mark one eyeball use!. any commander skill that boots torpedo handling (reload specifically) he should add an additional bonus to. The man was a terror with torps! I can already see the URL Guy's name for the sale page: "Apoicalypse Now." Where do you get this info?? I would agree on Shigure. It better be a torp boat of the first degree no gimmicks like Asashio please!! The POI boat is gonna be a real thing? ?